Rising junior welterweight talent Michael Dutchover (7-0, 5 KOs) measured 131.3 lbs. 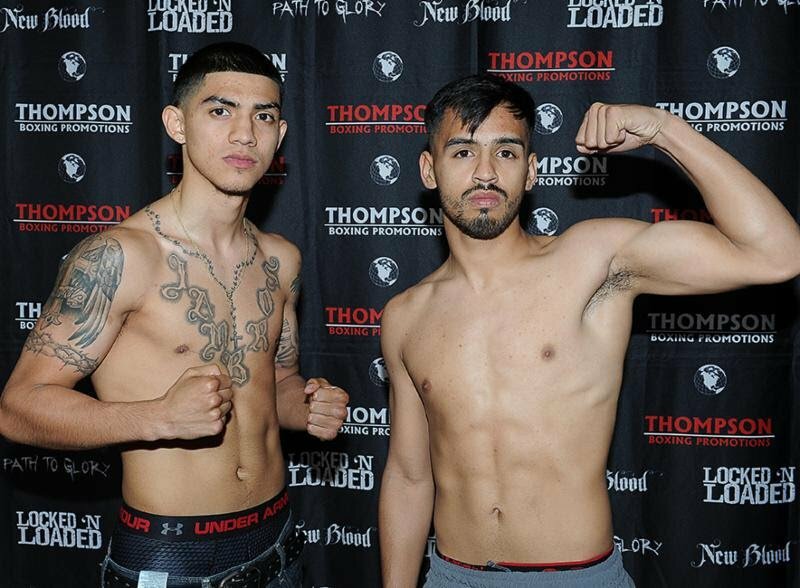 at Friday’s weigh in, while challenger Ricardo Lopez (7-1-2, 6 KOs) topped off at 132 lbs. Dutchover, 20, headlines “Night of Champions,” a career first for the boxer out of Midland, Tex. “Night of Champions” is Thompson Boxing Promotions’ annual private event. Tickets are not available for purchase. The event takes place from the Doubletree Hotel in Orange, Calif. Prior to the start of the event, Thompson Boxing will livestream Danny Roman’s most recent win – a successful WBA title defense against Ryo Matsumoto. Boxing fans can stream Roman vs. Matsumoto starting at 7:00 PM PT via ThompsonBoxing.com, or on its Facebook page. After the Roman fight, Thompson Boxing will begin its livestream of “Night of Champions.” Beto Duran serves as blow-by-blow announcer, while Steve Kim is the expert analyst.